Below are a selection of full complete lesson songs consisting of a video file, multiple audio files and lesson sheets. Each are priced at £4.99. Click on the links below to purchase the required lesson and you will be emailed with the download link. This is an example of the video screens, with animated curser which moves indicating exactly what is being played when. Can I tune up my Harmonica? The simple answer is yes. If your Harmonica goes out of tune slightly you can re-tune it using a small screw driver, a set of feeler gauges and a metal nail file. Read how to do it in the Maintenance & Tuning section. 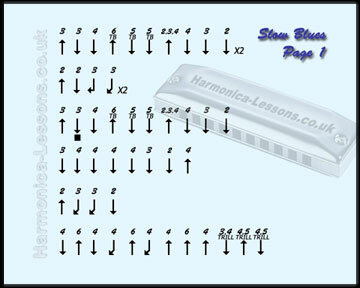 Copyright © 2011 Harmonica-Lessons.co.uk. All rights reserved.